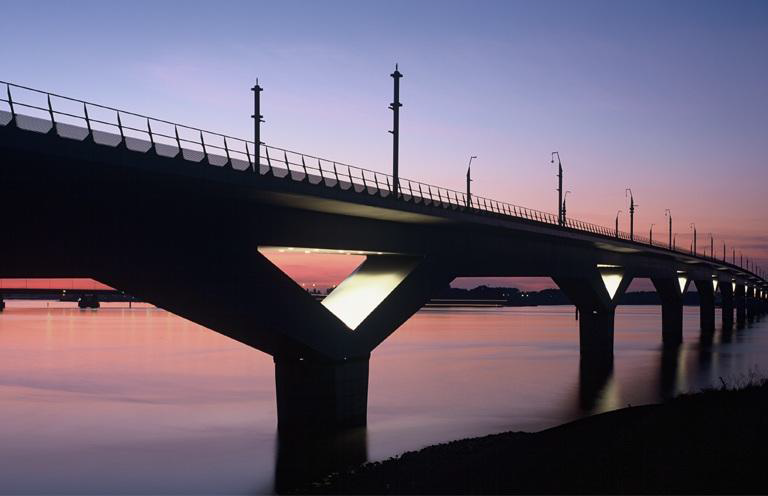 Bridges offer great potential for the use of high strength steel grades (HSS). The main advantages are generally a result of reduced weight and cross-sectional dimensions. 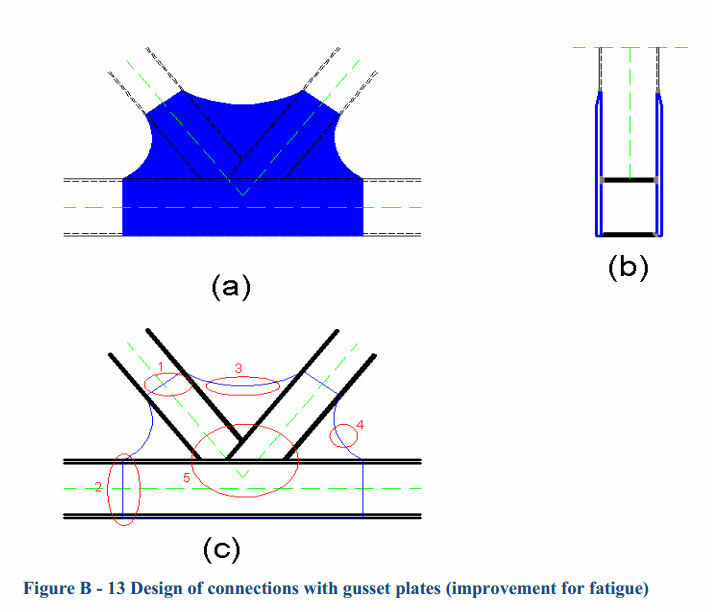 Design stresses can be increased and plate thickness may be reduced, resulting in significant weight savings. Reduced plate thickness can also save on welding costs as well as on fabrication, erection and transportation costs. 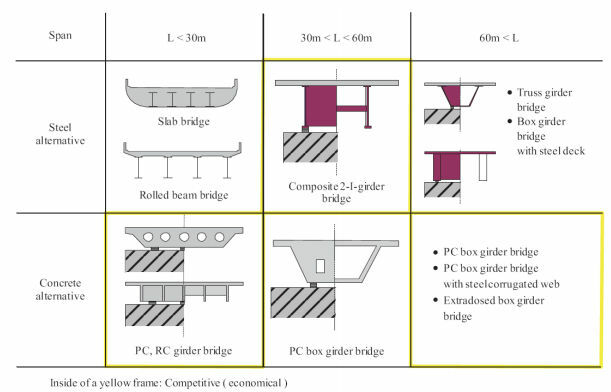 Simplified structural components and construction techniques are often possible, particularly for large structures, and foundation costs may also be reduced due to lower dead weight. High strength steels can be delivered as quenched and tempered (Q&T) or as thermomechanically controlled processed (TMPC). In the first case, high strengths can be achieved with minimum yield strength up to 1100 MPa, which can lead to considerable weight savings, while in the second case moderate strengths (min yield strength up to 500 MPa) accompanied with excellent weldability are possible. 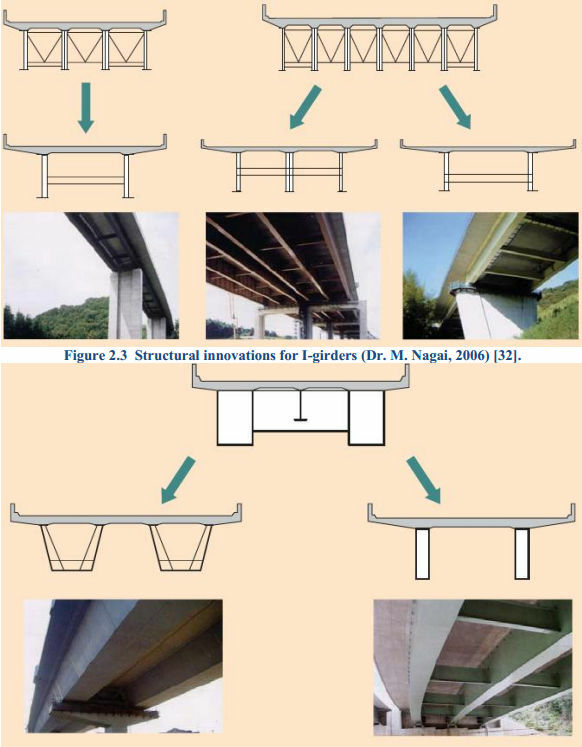 Especially quenched and tempered high strength steels may offer big weight savings when used for bridges. However, quenching and tempering production method poses limitations to the product length.